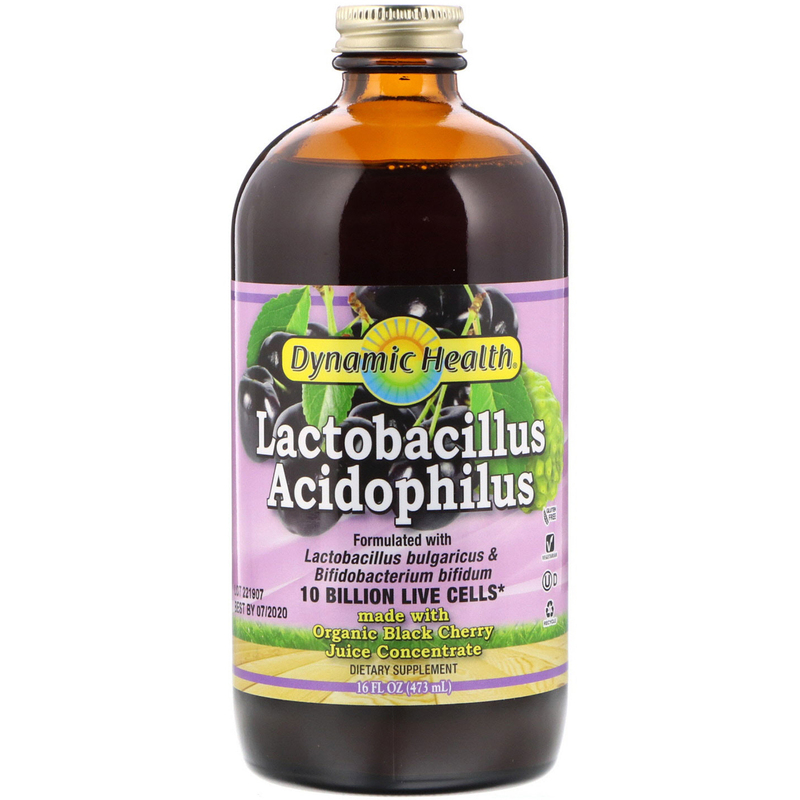 Dynamic Health Liquid Black Cherry Acidophilus is a probiotic supplement providing 10 billion colony forming units (CFUs). Our probiotic blend contains Lactobacillus acidophilus, Lactobacillus bulgaricus and Bifidobacterium bifidum cultures formulated with Yucca schidigera and Organic Noni. 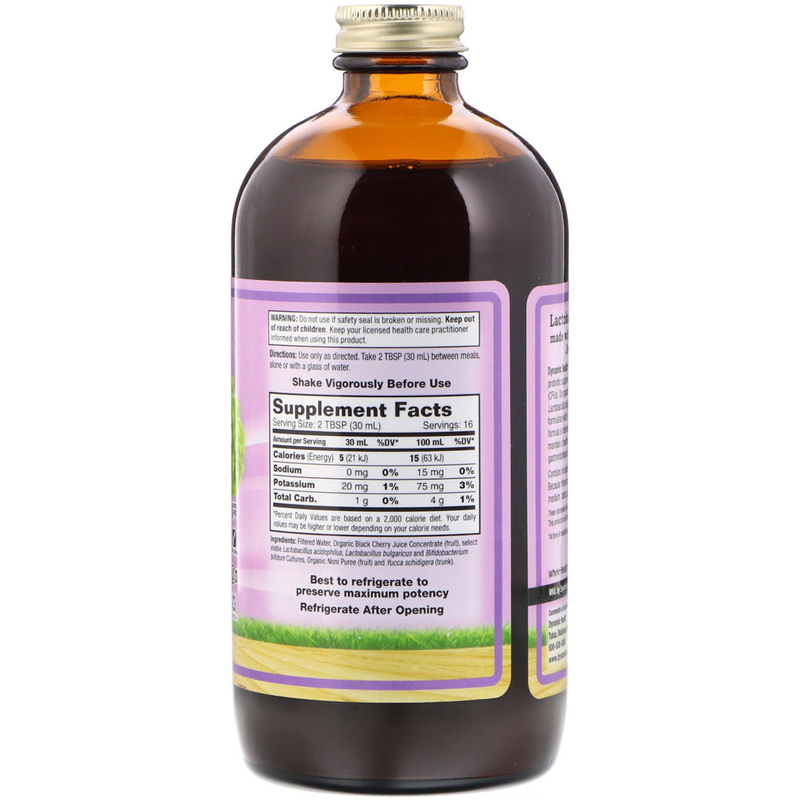 Our formula is intended to provide nutritive support to help maintain a healthy balance of intestinal flora, bowel function, gastrointestinal comfort and immune system. Shake vigorously before use. Refrigerate after opening. Filtered water, organic black cherry juice concentrate (fruit), select viable lactobacillus acidophilus, lactobacillus bulgaricus and bifidobacterium bifidum cultures, organic noni puree (fruit) and yucca schidigera (trunk).